Ring of Kerry, Killarney and Cork – The Great Canadian Travel Co.
Get wild on this four-day tour of the rugged coast of Ireland. Explore the local pubs and taste fresh local seafood, caught that day. Check out the mighty castles scattered along the coast. Prices are shown in US$ per person based on two people sharing a twin room and one person in a single room. Child prices apply to children ages 5-15 sharing a room with an adult or for two children sharing a room. Children under 5 are not accepted on this tour. Prices are approximate US$ equivalent of the Euro rate and will vary depending on currency conversion of the Euro at the time of payment of your deposit and re-calculated at the time of final payment. CA$ rates are also available on request. You may choose to lock in the US$ or CA$ rate by paying in full when you make your reservation. Leaving Dublin, you will travel west to the Midlands and into the Slieve Bloom Mountains. You will arrive at Birr Castle and Gardens and will learn about the scientific innovation at the ‘Great Telescope’, the largest one in the world for over 70 years. 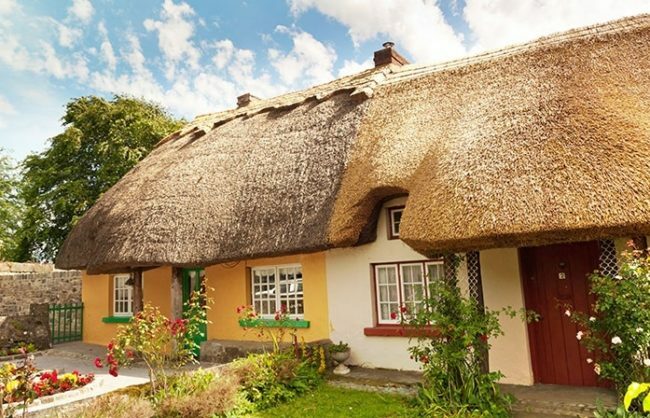 Make your way to the Village of Adare and wander through the streets past the many thatched room cottages and medieval houses. Be sure to check out the ruins of the 15th century Franciscan Monastery and Desmond Castle. From here, you will travel to Killarney where you will be staying for the next two nights. Relax and immerse yourself in the Irish hospitality and enjoy the restaurants with the local music pouring out into the air. 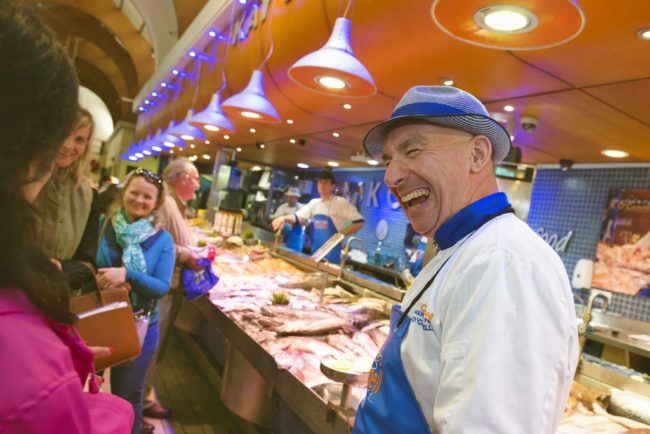 These small group tours are basic and more casual than many of the other escorted tours. They offer you the choice of paying admission locally to the sites you wish to visit or skipping an attraction that isn’t of interest to you. There is the opportunity to have some free time in the evenings to go out for dinner to a cafe or restaurant of your choosing on your own, buy some food at a supermarket or take-out and eat at your accommodation or hang out with other people from your tour. The choice is yours! Birr Castle and Gardens – Explore the lush gardens and discover one of the 19th century’s greatest scientific instruments, The ‘Great Telescope’. The Village of Adare – ‘Ireland’s Prettiest Village’, a stunning ‘chocolate box’ collection of thatched houses and historic buildings. 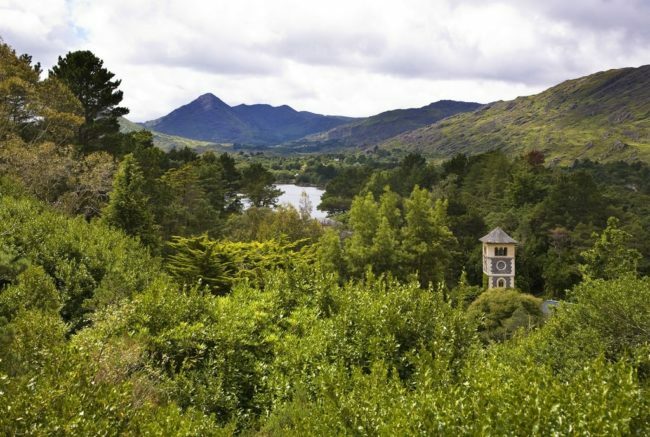 Killarney – You’ll have a merry time in this bustling town of great bars and local music. The Ring of Kerry – Indulge your senses on this classic route through 100 miles of beauty and intrigue. The Caha Pass on the edge of the Beara Peninsula – Ireland’s unexplored secrets await you in this stunningly beautiful and isolated peninsula. Glengariff and Garinish Island – Sail serenely from the picturesque village of Glengariff to the scenic woodlands of Garinish. 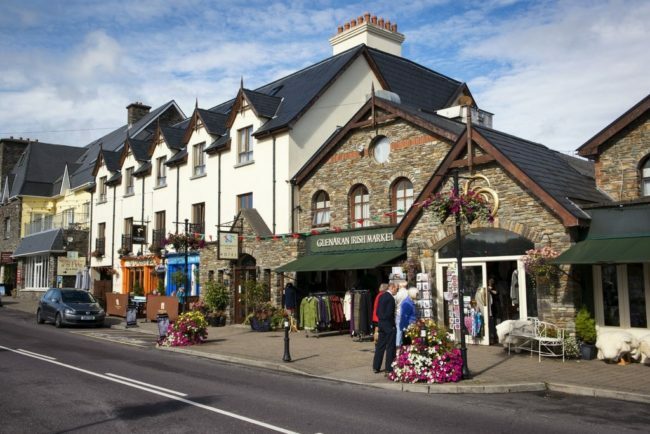 West Cork villages – Enjoy the delicacies of market fairs and delightful village views in these famously cultured communities. Kinsale – Enjoy fine food and drink in Kinsale’s renowned restaurants and bars. 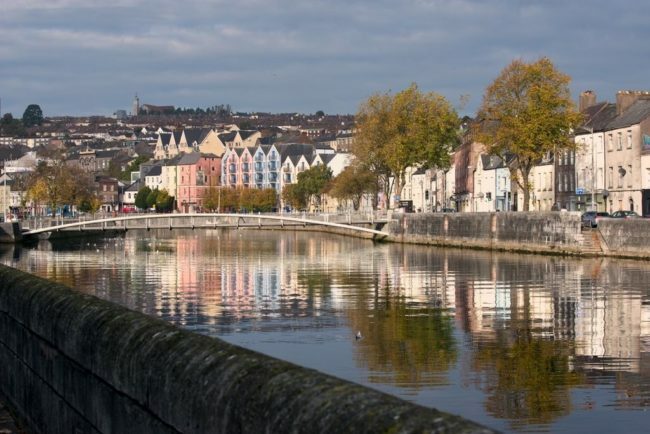 Cork City and the English Market – Roam over the city’s beautiful bridges and capture their panoramic views. Rock of Cashel – See the superb vistas of this historic fortress, home to some of Ireland’s most iconic views. Today, you will drive the 100 miles of extraordinary coastal views. Departing Killarney, you pass Carrauntoohil, Ireland’s tallest mountain. Have your camera ready as you travel the Ring, stopping at plenty of photo stops with beautiful views along the Dingle Peninsula. You will stop for lunch in the quaint fishing village of Portmagee. Don’t put your camera away just yet, as this afternoon, you will stop for photos in Waterville then make your way to Coonmakista Pass and take in one of the most beautiful views in Ireland. The Ring then winds down to sea level for a visit to Derryanne House where you will have a chance to explore the breathtaking gardens and grounds as well as the house that the famous O’Connells lived in. Stopping at Moll’s Gap and the Ladies View, your tour continues around the circle as you take a short hike to the Torc Waterfall before arriving back in Killarney for the night. 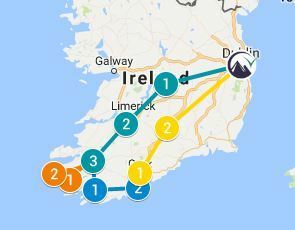 The day begins with a jaunt through Kenmare and over the Caha Pass, travelling through tunnels to descend from the mountains to Bantry Bay. The journey then follows along the shore line to the village of Glengarriff, and then a quick ferry over to Garinish Island, sailing past a seal colony. You will have time to explore the beautiful gardens, the Martello tower, and the woodland trails. 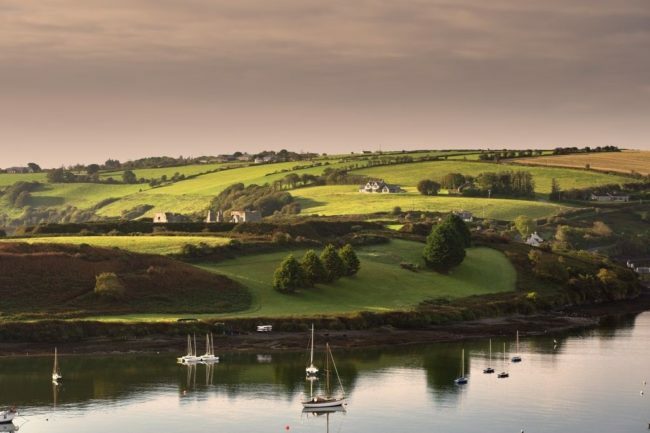 In the afternoon, you will follow the West Cork coastal road to Kinsale, where you will be spending the last night of your tour. Take the time to explore this wonderful harbour town, tasting the local foods, sipping on the drink of your choice and relaxing. 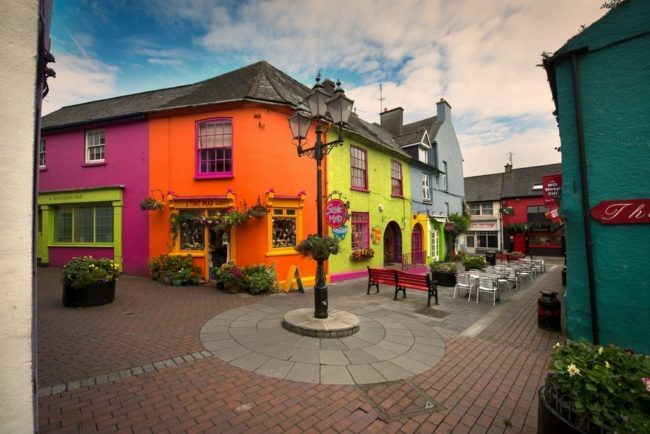 Today is slow starting, giving you time to say your good-byes to the quaint town of Kinsale. You will make your way towards Cork, built on an island in the River Lee. Peruse the market, gaze at the French Gothic spires of St. Fin Barre’s Cathedral or ring the Shandon Bells of St. Anne’s Church. 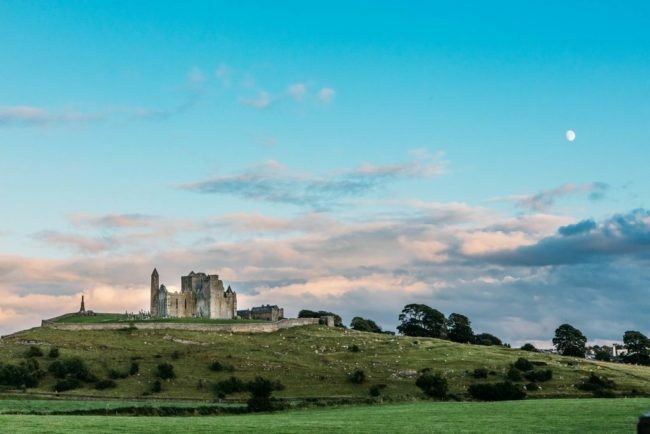 Continuing your tour back to Dublin, you will stop at the Rock of Cashel and explore the grounds of the medieval monastery that sits on the rock. A perfect ending to a perfect tour as you arrive back to Dublin in the evening.